The ‘fancy’ fruit bread has been a staple throughout the decades as a celebratory snack or simply a nicely presented tea-time treat for that ‘important’ guest! 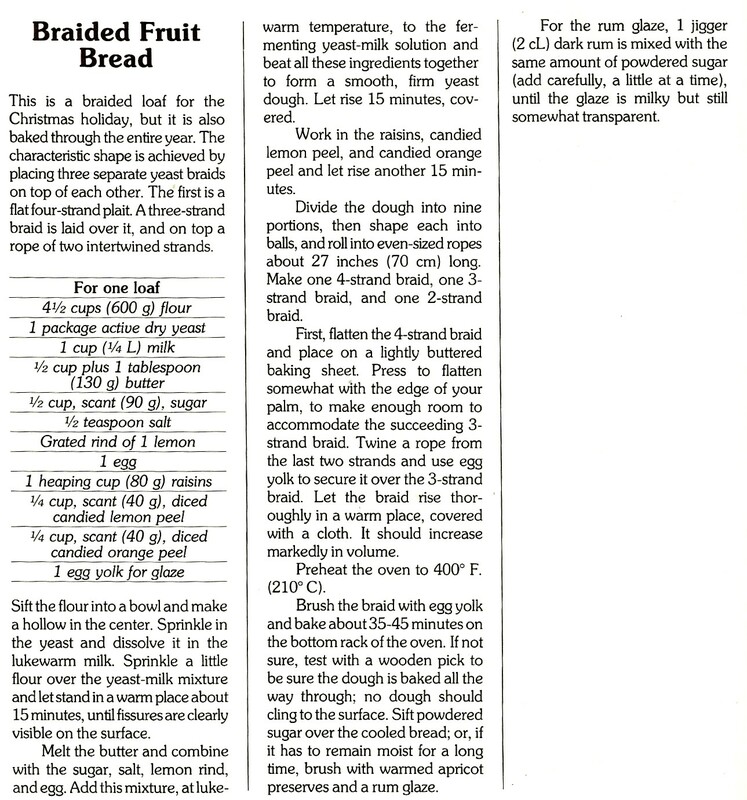 It has less fruit content than the French Fruit Braid shown here, where it is noted as an Easter speciality. 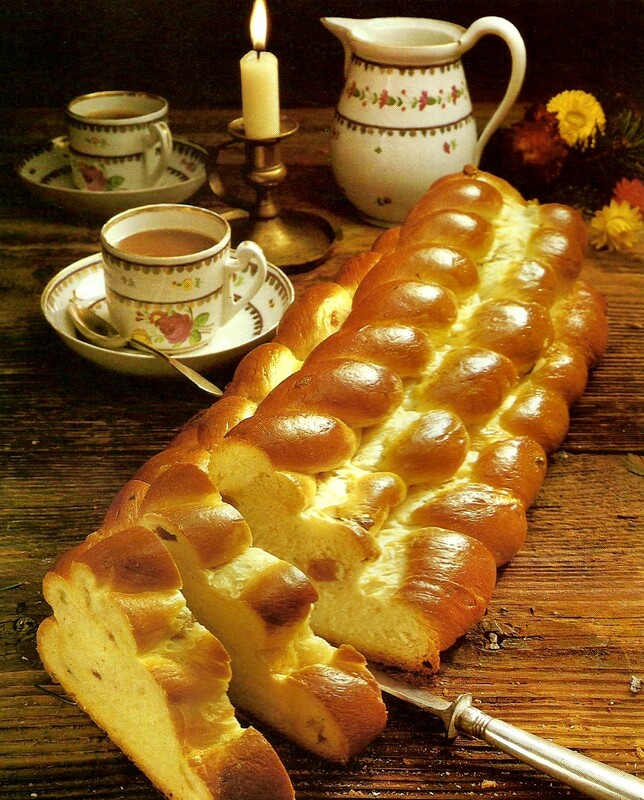 There are many varieties of Christmas breads known throughout Europe, many of which have found their way into the archives. This particular recipe is from a slim book of Christmas baking dated around 1975. This entry was posted in Breads, Christmas and tagged braid, fruit, plaited, spiced, sweet. Bookmark the permalink.